Mumbai’s salt pans, a natural buffer for India’s financial capital against high tides and heavy rains, have become a political pitch. The Bharatiya Janata Party-led Maharashtra government’s idea is to open up spaces in the state capital, including the eco-sensitive pans that act as the city’s lungs, for ‘affordable’ housing. Ally Shiv Sena, however, resolutely opposes such plans. The Devendra Fadnavis government in 2014 announced its intention to ‘develop’ zones in Malwani, Gorai, Jogeshwari and Mulund — near the city’s eastern and western borders — to create residential areas. 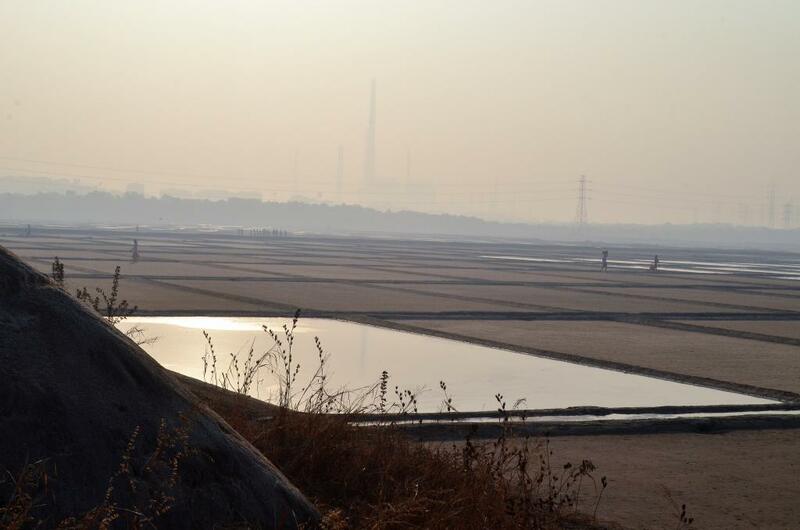 The salt pans are spread across Ghatkopar, Wadala, Chembur, Bhandup, Trombay, Virar and Bhayandar. A revision of the Wetlands (Conservation and Management) Rules in 2017 and Mumbai’s Development Plan - 2034 are in line with the ambitious Prime Minister’s Housing Scheme to construct a million affordable housing units. This can open the 2,100 hectares pans to the realty industry,” said Mumbai-based environmentalist Dharmesh Barai. The state is expected to release 3,355 hectares of no-development zone in its capital for building apartments and commercial complexes in Mumbai. About 2,100 hectares of that would be for affordable housing, under the 2034 plan that determines the city’s land use and infrastructure development for the next 20 years. In all, 12,859 hectares were marked natural areas — hills, slopes, mangroves, eco-sensitive areas — where no development would take place. The state government promised to use 5,400 acres of salt pan land for affordable housing and other purposes, but kept dodging the issue despite the Centre repeatedly asking it to submit a proposal regarding the transfer of land. But in January 2019 a Rajya Sabha committee has asked Fadnavis to “free the land soon to fulfill the most-pressing housing requirement”. Caught in a quagmire, the state tried putting the ball in the Centre’s court. The ownership of the salt pan land, for all technical purposes, continues to remain with the Centre. The state government may have professed every intent to develop it for ‘affordable housing’, but it lacks the wherewithal to consult stakeholders and opt for truly inclusive development without jeopardising the environment. It has not been able to do much with Shiv Sena and belligerent environment activists. Also, despite the exclusion of the salt pans from the Wetland Rules, they are still protected under the Coastal Regulation Zone (CRZ) rules — the national law cannot be overruled by the state.